Great pattern for every level of knitter. Especially beginners learning to work the bias. 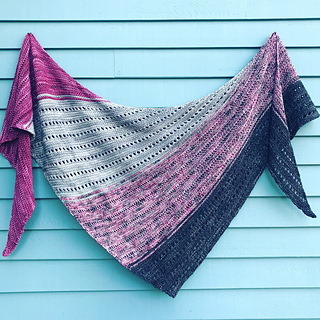 This shawl is part of the Rhinebeck Shimmer & Whimsy 2018 CAL with Stitch & Hustle, Kristy Glass Knits & Asylum Fibers.